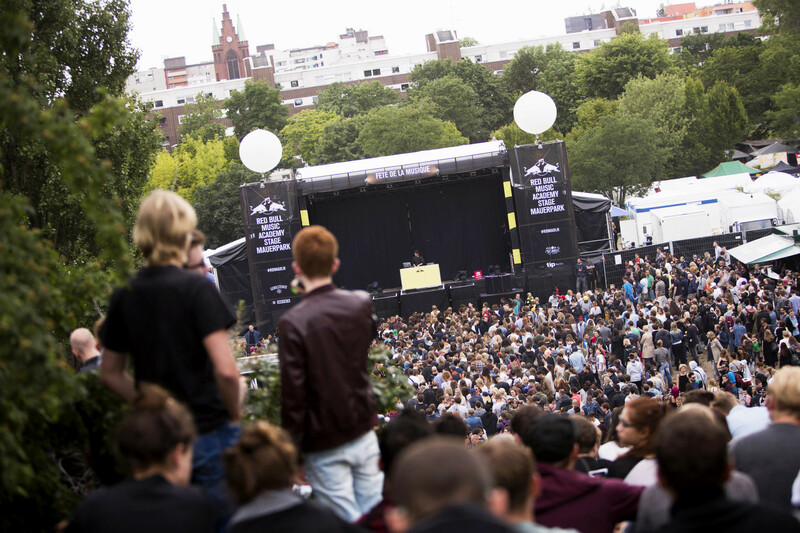 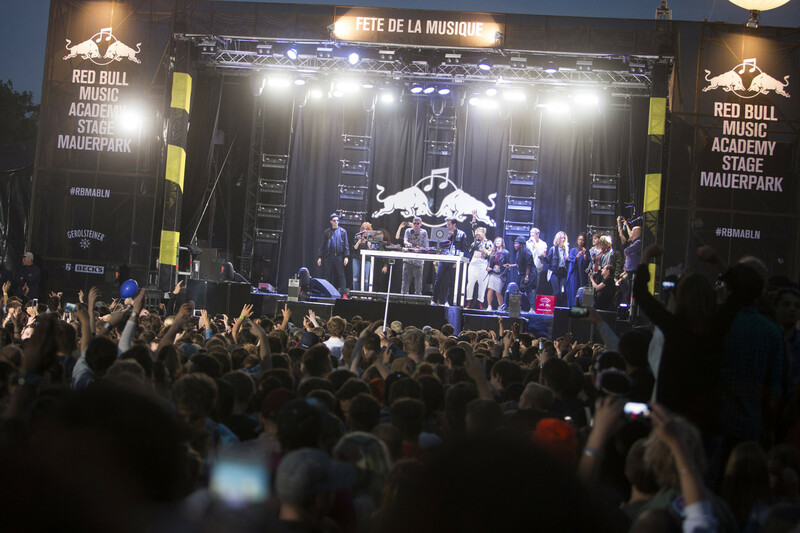 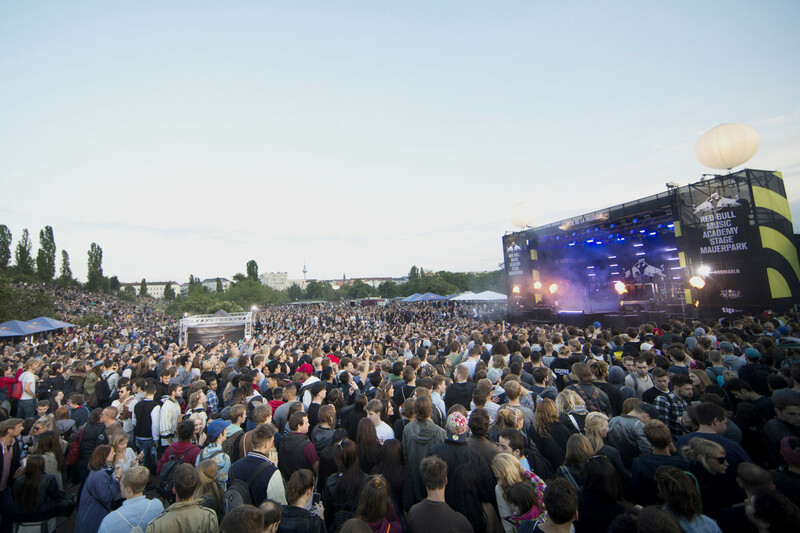 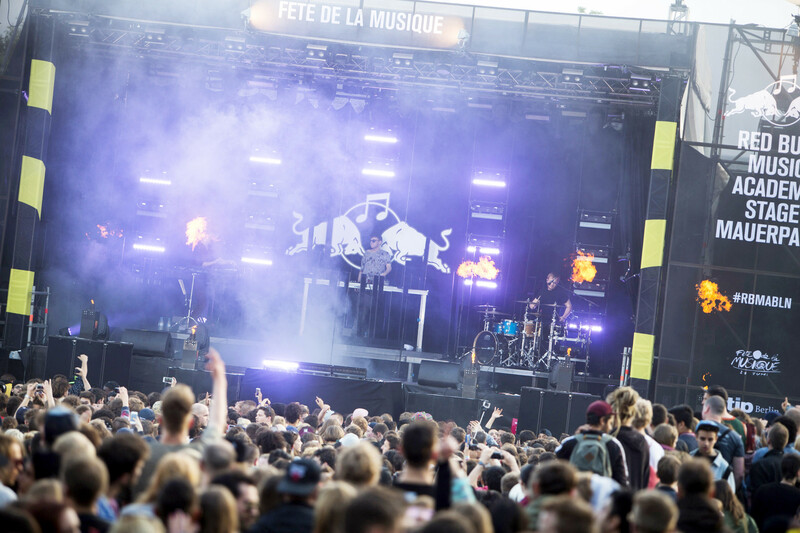 For the third consecutive year, Red Bull Music Academy presented its stellar stage at Berlin's Mauerpark, in conjunction with Fête de la Musique. 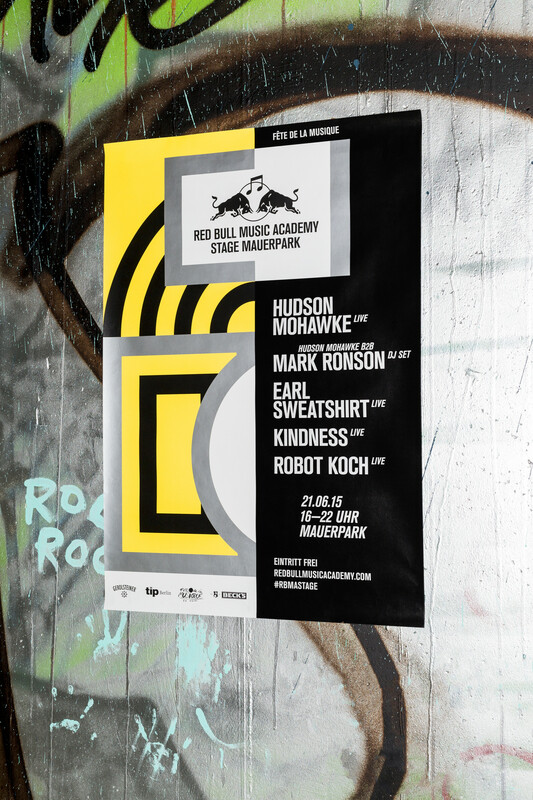 The lineup featured a special showcase by Academy alum and acclaimed producer Hudson Mohawke, playing a live set with band as well as back-to-back with DJ, superproducer and former Academy lecturer Mark Ronson. 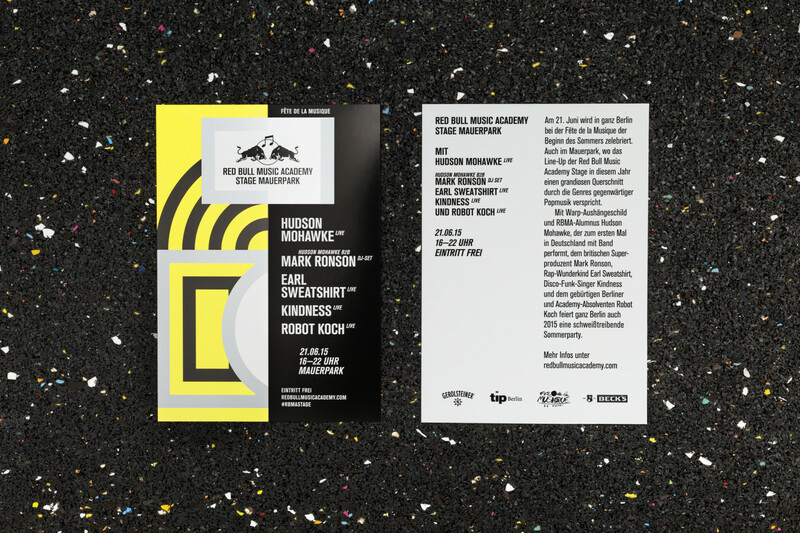 Design of all printed matters, digital campaign assets and stage design.